A conversation with Padres reliever Matt Wisler, a former top prospect in the organization who was shipped to the Braves for Craig Kimbrel on the eve of opening day in 2015. He has an opportunity for his career to come full circle in San Diego. 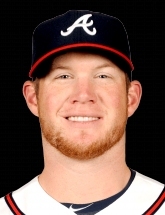 Cubs Rumors: Is Craig Kimbrel ready to drop his demands for a deal? Colorado Rockies injury update: Daniel Murphy nearing return?